This Breakfast Hash Recipe is sponsored by MorningStar Farms and Thrillist. All thoughts and opinions expressed are my own. I’m so excited to be partnering with MorningStar Farms’ and Thrillist to Wake Up With Plant Protein! We want to show you how to confidently incorporate plant proteins into your favorite dishes without compromising flavor. 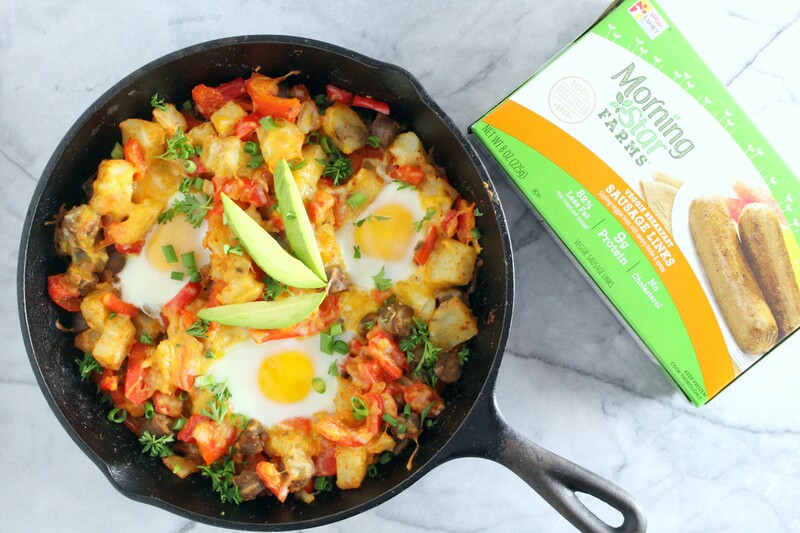 I’ve created a tasty breakfast hash that’s loaded with veggies, potatoes, and sausage goodness. Gather and prepare all ingredients. Remove from heat, add cheese. Make 3 divots with a ladle and place 1 egg in each divot. Put in a 400-degree F oven and cook for 4-5 mins. Garnish with scallions, parsley, and avocado slices. Eating a balanced diet rich in plant based protein sources (legumes, seeds, nuts, and some grains), lean animal proteins, fruits, veggies, dairy, and healthy fats is the key to living a healthy, happy life. And what’s life without a little sausage? MorningStar Farms’ makes it simple and tasty to show our plant based proteins some love! 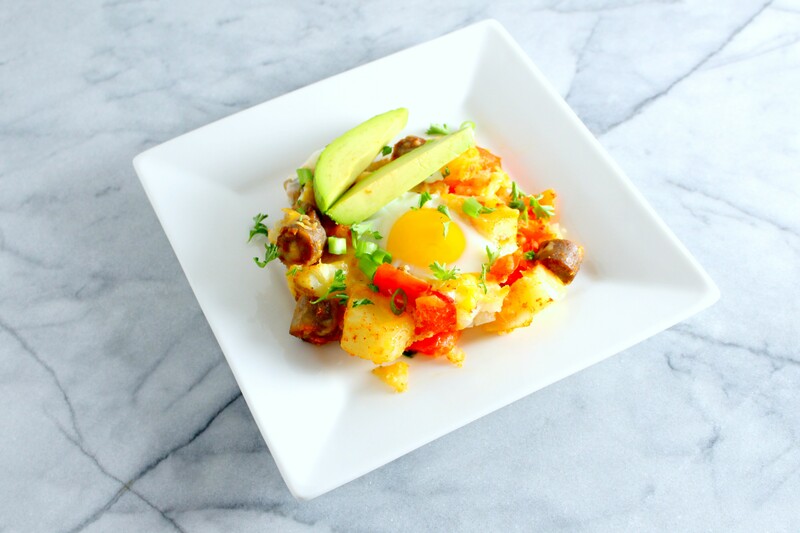 Give my savory breakfast hash a try!